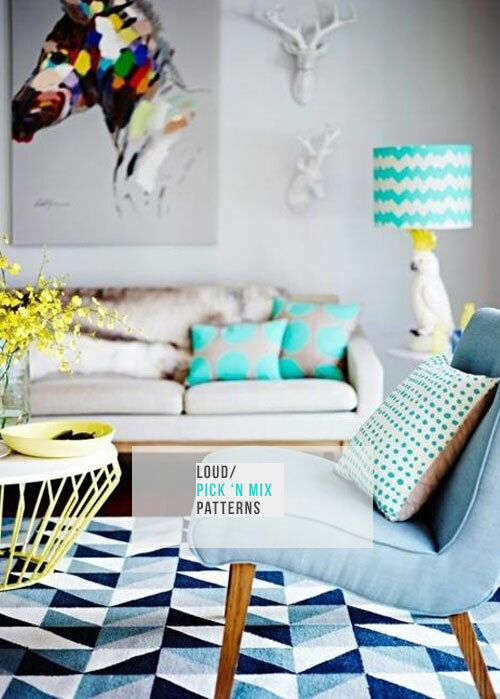 Describing something, be it an item of clothing or an interior, as 'loud' can sometimes have negative connotations depending on the context in which it was said, of course. 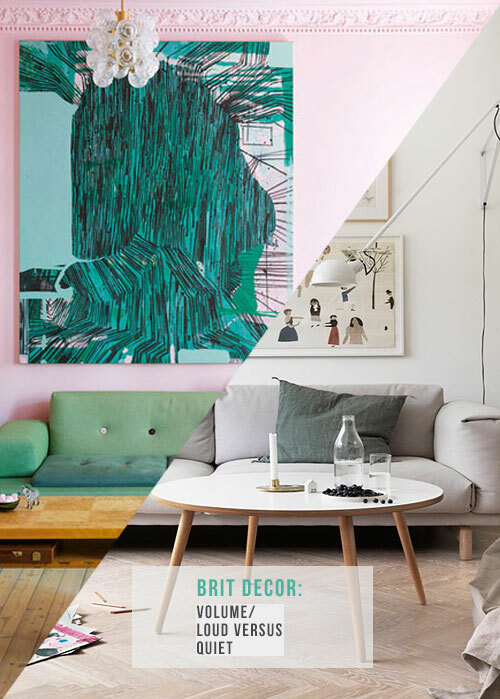 However, today on Brit Decor, loud is proud, as I explore ways in which to create high-volume interiors. But it doesn't end here, as we can easily switch the volume dial to the opposing end of the spectrum with 'quiet' and relaxing schemes. So today I am looking at both of these juxtaposing volumes in search of just the right pitch. Colour is key; bold and vibrant colour choices will lift the energy of a room in an instant, so mixing together one or more of these colours, particularly in contrasting hues, can create explosive results. Chalky neutrals and pastel shades will soften the light and bring a relaxed ambience to a scheme - think Scandinavian-style! Pattern versus plain; for increased contrast and volume, mixing multiple patterns can create a mind-blowing mix, for example, stripes and chevrons. 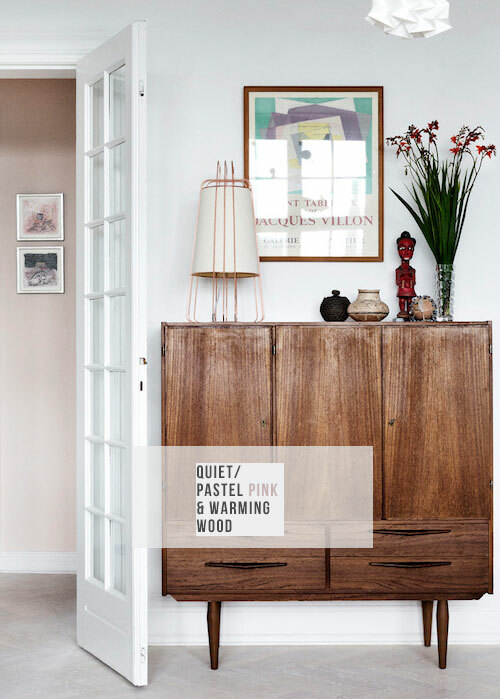 Softer patterns such as the ultra-cool ombre effect or watercolours, create a softer and more dreamy look, whilst plain pastel fabrics will bring the volume right down to a calm-cool. Mixed-materials; high-vis graphic prints are a sure fire way of shouting 'interest' in a room, grouping these together in contrasting styles,colours and/or patterns will increase the volume dramatically. Equally, sharply defined framework furniture can show-off architectural detail whilst offering contrast with say, a geometric rug. 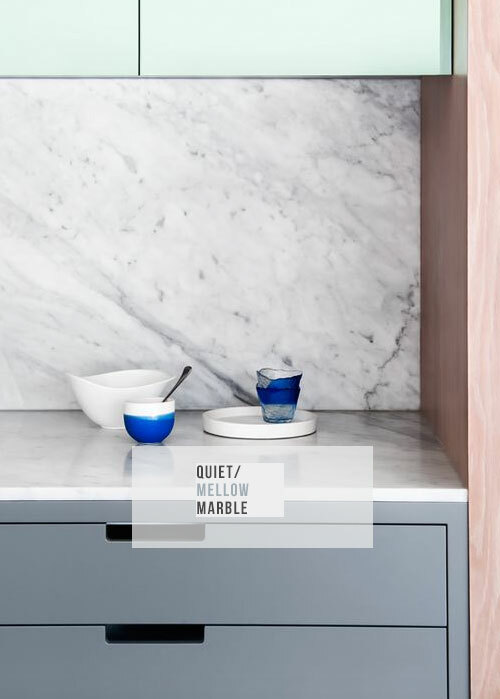 For low-volume materials, white Marble is a key choice with it's calming swirls of grey and white. Wood is another natural material which can sooth a scheme into submission, particularly paler blonde woods. The big question is: Which volume are you? I have to say I'm a bit of both, (just to be on the fence!) 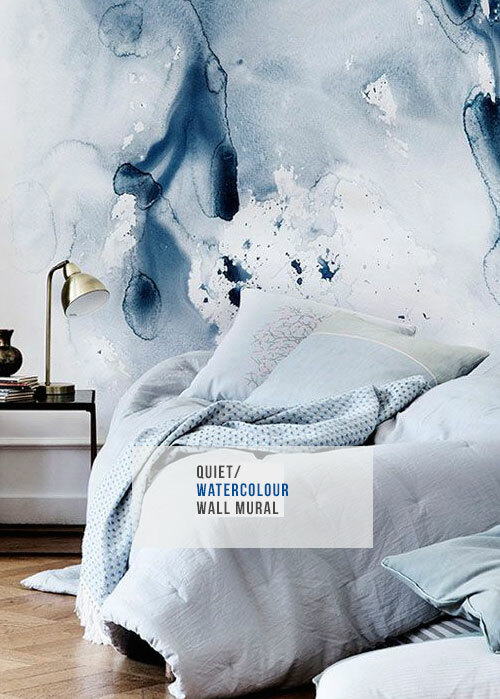 As it all depends on the room, calm and serene in the bathroom and bedroom, but turn the colour/print volume up in the kitchen and dining room! walls looks perfect, looks like a place of dreams.